Our home and improvement and remodeling company, based in Wilmington, Delaware and Chester, Pennsylvania, provides roofing services for residential and commercial buildings ironclad 20 year manufacturers labor and material warranty. We are a certified manufacturers installer. For new homes and businesses, M’RKed Improvements, LLC installs new roofing materials to meet the needs of the property. This includes composition or asphalt shingles, tile, faux slate, metal shingles, slate, and copper. Our roofing contractors begin by preparing the area, followed by installing roof deck protection. Next, a leak barrier in placed over vulnerable sections of the roof, and then starter shingles are placed, followed by the remaining shingles, valleys, flashing, ridge caps, and ventilation. From a small ranch home to a tall commercial building, our roofers have the materials and experience to build a roof that will last for many years. M’RKed Improvements, LLC also repairs roofing of any type. This includes leak repair, replacement of roof shingles, patching a metal roof, repairing loose or cracked flashing, and any other repair you need. Our team of professionals works quickly to minimize the disruption of your routine and ensure your roof gets completely repaired before the next storm hits. 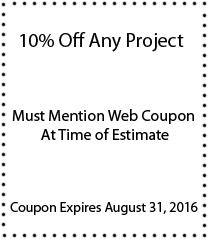 We provide detailed, accurate estimates on job of any scale. If roof replacement is deemed more economical, our roofers will go over all your options with you to find the most suitable roofing materials for the building. M'RKed Improvement, LLC also provides complete roof replacement for homes and business in the Wilmington and Chester areas. Our expert roofers can replace the materials with similar, brand new materials, or we can upgrade your current roofing system with better, more energy efficient options. If your roof is between 20 and 25 years old, your shingles are buckling, curling, or missing, or your chimney flashing looks worn, these are just a few signs that you may need to replace your roof. If you’re not sure whether your roof should be repaired or replaced, our home improvement and remodeling professionals will complete an assessment of your roof and advise you on the next best steps. 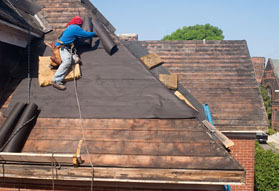 Our roofers also install, repair, and replace cedar shakes roofing, a material that is growing in popularity because of the advantages it provides. Cedar shakes is a suitable roofing solution for those who seek exceptional beauty, durability, and energy efficiency. They are also resistant to severe storms. While the initial investment is higher, they tend to last longer than other types of roofing material, and with regular maintenance, cedar shakes can look stunning for many years. If you've been considering upgrading your home and increasing its resale value, you should know that beautiful and enduring metal roofing is highly valued as one of the top renovation-friendly building materials for rehabbers and new home builders alike. While the initial cost for a premium metal roof is higher than most other roofing materials, you'll save money in the long run. A metal roof can last a lifetime, whereas materials like asphalt require reproofing every 10 to 20 years. A metal roof can also increase the resale value of your home.